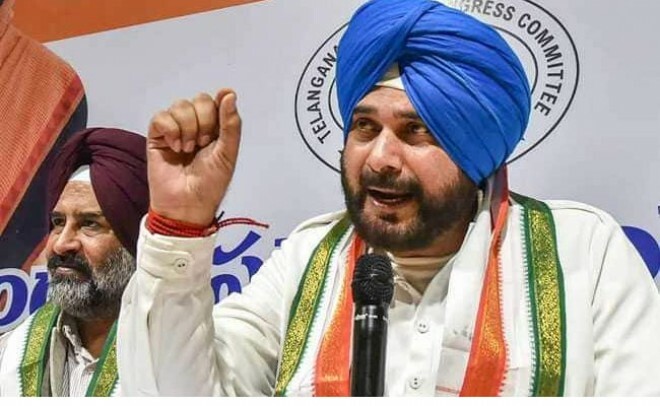 New Delhi, Feb 18: Congress leader Navjot Singh Sidhu who is facing criticism for his recent comment on the Pulwama terror attack, said he is firm on his stand and reiterated that the country's fight is against terrorism and perpetrators of terror. Punjab minister had said that a nation cannot be held responsible for the acts of terrorists. "I am firm on my stand. Terrorism will not be tolerated. People who are responsible should be punished so harshly that it acts as deterrence for generations to come," Sidhu told reporters. Agitated by Sidhu's statement on "nation cannot be held responsible...," Shiromani Akali Dal leaders raised objections in the state assembly on Monday, demanding Sidhu's resignation over the matter. Nearly 40 CRPF personnel were killed in Awantipora in a terror attack orchestrated by Jaish-e-Mohammed, a Pakistan based terror outfit.